It’s October and we all know it’s the month for Halloween. Our kids are busy planning out costumes. We’re busy locating treats at the supermarket to hand out at the front door. Then, digging out our scariest Halloween tricks to decorate the yard and front door for when other kids arrive. We change up our work schedules so we can leave the house early and have the kids go out before it gets too dark. Not a lot of people are thinking about garage renovation at this time of year but there are some people who are decorating their garage interiors as well as exteriors to enjoy the merriment of Halloween. Here are some ways that we can make the most of the garage, the garage door and the storage renovations inside to create a fun or spooky Halloween experience for the neighbourhood kids. Sometimes, we’re the ones on the street who are just not that creative nor imaginative nor have a lot of time. If you enjoy Halloween or getting into the spirit of the neighbourhood, don’t let this stop you. By decorating our house or garage, we can add to the ambience and festivities of any holiday including Halloween. So, here’s a great solution for even the most non-creative amongst us. 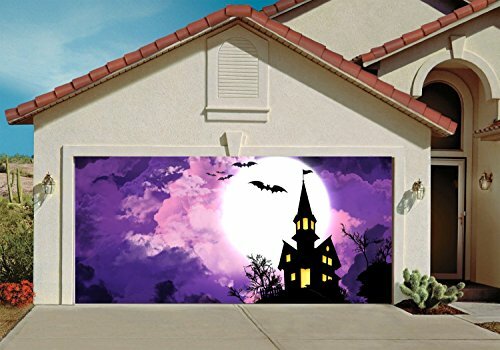 These are Halloween garage door covers and with a little bit of lighting for effect, we can capture the spooky spirit of Halloween with the best of our neighbours. Take a look at a few of these examples. Next, let’s get a little inspiration from some our neighbours from around the country and abroad. So, here’s a sampling of some great ways to decorate the front of the garage door. 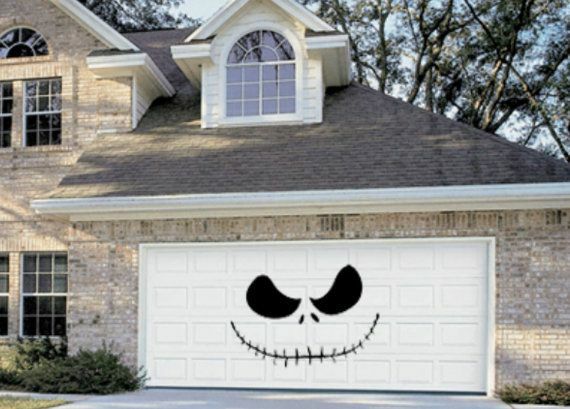 From a festive harvest theme to celebrate the season including Halloween to an animated monster mouth garage door sure to fascinate the imagination of young trick or treaters walking up the driveway for the first time. Leverage the garage door for the motion to create the monster’s mouth. Or, just use the garage door as a backdrop to light a silhouetted theme in front. If you’ve got a little less time, create a giant spider web on the outside of the garage along with dangling spiders, bats and creepy crawlies. Here are some imaginative custom garage designs that are sure to make you a fan favourite amongst young trick or treaters all along your street. Remember to add coloured lighting for effect. It can make a simple silhouetted theme come to life. And, as the night wears on, your Halloween decorations will continue to glow and entertain the entire neighbourhood. Use anything from the sconces along the garage doorway to flood lights to smaller LED lights to add effect. If you’ve got a light coloured garage door or you hang a large painter’s drop cloth in front of the garage door, the drive way can become a fun place for the kids to gather after trick or treating to watch Halloween favourites. To entertain the younger kids earlier on in the evening, try movies such as It’s the Great Pumpkin Charlie Brown or The Addams Family or Hotel Transylvania or Disney’s Hocus Pocus. Keep it family friendly and the whole neighbourhood will soon be enjoy a night at the movies with you and your family in your driveway. Even if you are not a techie and you don’t own a projector, you can make your own movie projector with a smartphone and a shoebox. Check out these instructions on YouTube to create your own homemade projector as a project with your kids leading up to the big night. Add little bags of popcorn for each of the little ones and really boost the neighbourhood spirit for Halloween this year. If Halloween is a cooler night this year, we can open up our garage to add a little protection from the weather. 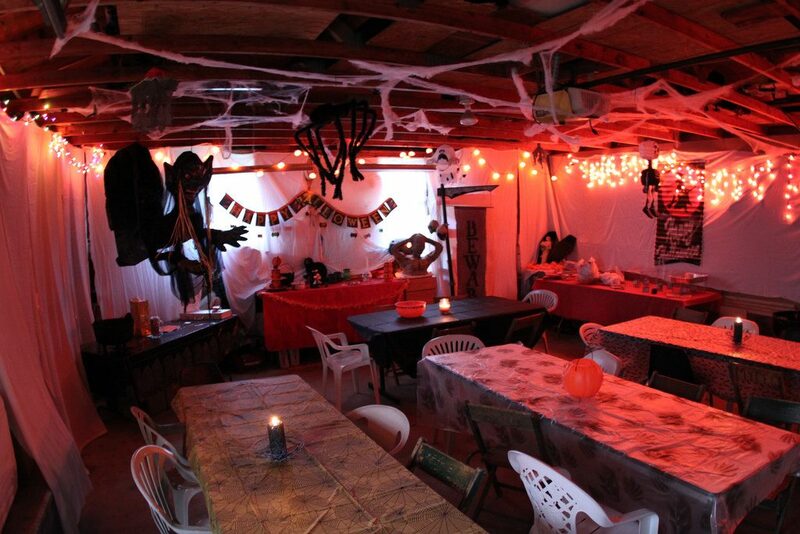 In addition, we can use our garage renovations to enhance the overall Halloween experience. For instance, get creative with the overhead Thule or bike lifts. By attaching ghosts and goblins to the lifts, you transform a motionless ghoul hanging from above into a floating ghost travelling through the air. Then, add a strong fan, a black backdrop and some lighting to make it even more convincing. In addition, there’s always the numerous slatwall organization hooks to attach spiders, bats, webs, ghouls and other popular Halloween figures for completing the full spooky effect. Use the rakes, pitch forks and other tools hung up to add some realism to the gory Halloween figures. 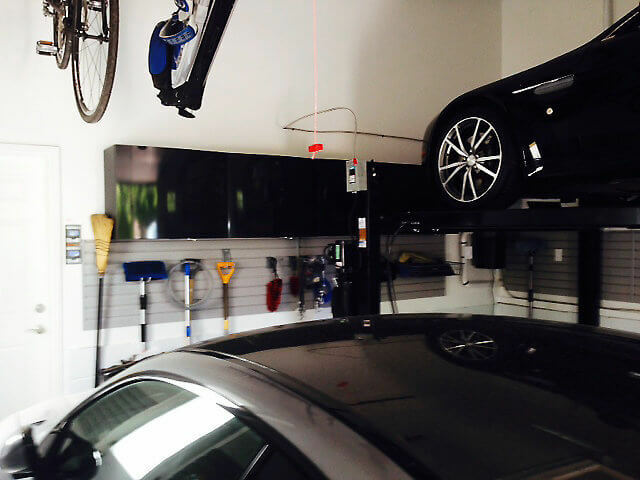 Your garage renovation design is the jumping off point to another year of fun this October 31st if you add a touch of imagination and a little creativity. Have a Boo-tiful Halloween Night! !